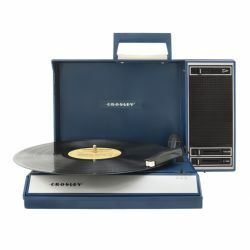 Born as an evolution of the now classic Switch, Crosley Switch II is the Audio System that many were waiting for. 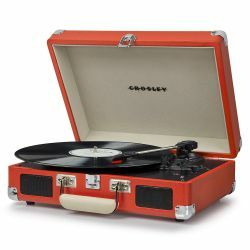 While keeping alive that inspiration to the modernist style, Crosley Switch II brings vintage-style turntables to the world of quality, power and functionality. 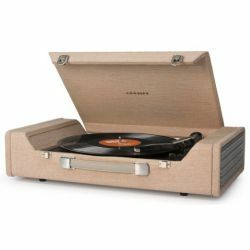 Among its features, it comes equipped with a larger plate and a professional diamond needle, a Radio, Bluetooth, mini Jack 3.5mm input and output, RCA output and , above all, a 30W RMS 2.1 stereo amplification. 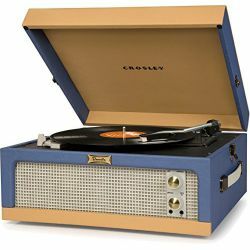 A long-awaited and well-developed update, Crosley Switch II represents an evolution particularly sensitive to the need for a greater audio power and better sound reproduction quality. 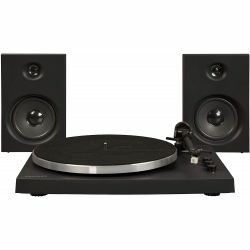 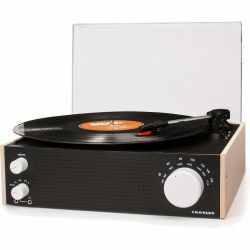 It proposes and improves all the features of its predecessor, including, in the central unit, the turntable, with a larger plate and professional Audio-Technica diamond needle, a radio with AM / FM selector, a Bluetooth receiver, the Input and the Output mini Jack 3.5mm, the RCA Output, the Output to amplified terminals (30W, 2 terminals per channel) and the pitch control. 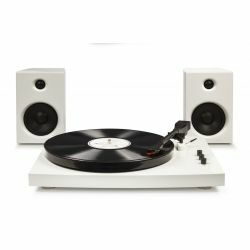 Among the important updates on the basis of which Switch II was developed from we emphasize the power of the two included amplifier, wich power a setup of two speaker + tweeter creating a 30W Rms Stereo 2.1 system, the professional quality needle and a more refined design, with laminate finishes on Audio grade MDF and opaque white paint. 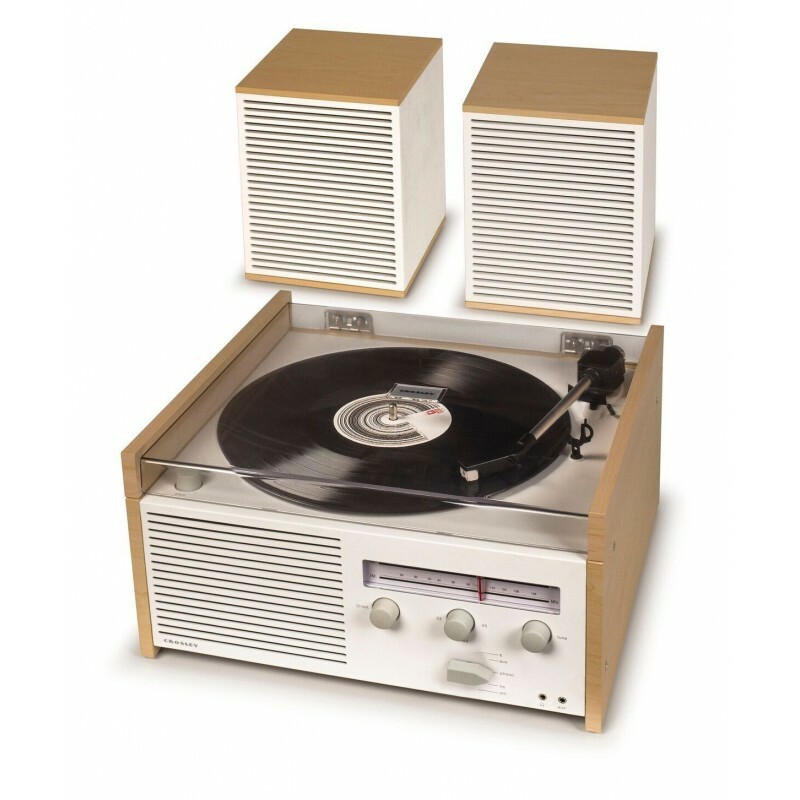 Elegance meets functionality in the all-in-one Switch II sound system. 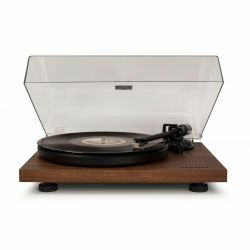 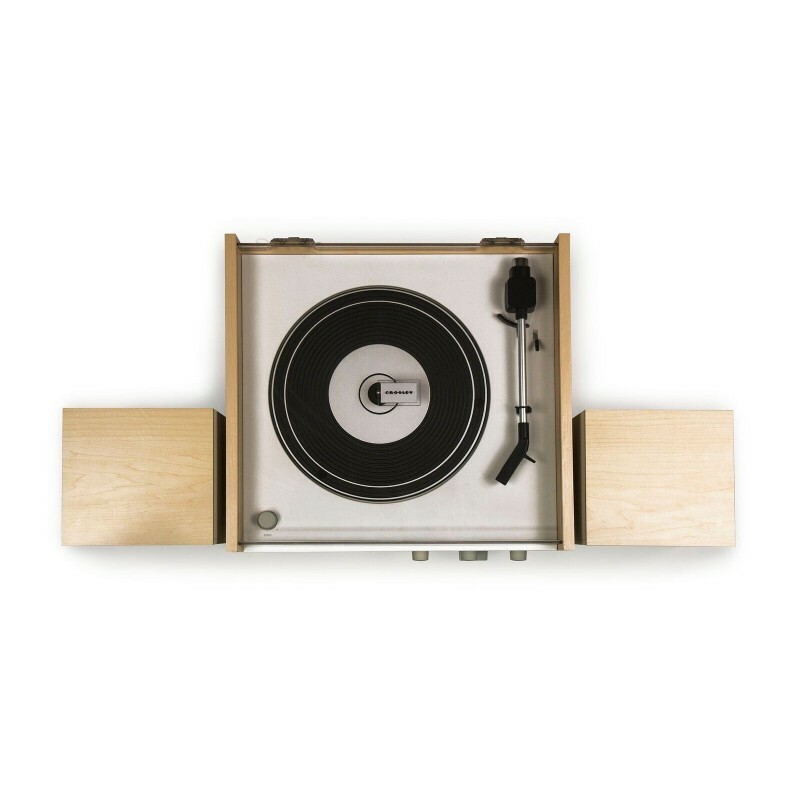 Inspired by modernist architecture, the Switch II turntable offers an essential design strongly linked to the shapes of the first half of the last century but is rich in modern technology.The system includes a 2-speed belt-driven turntable, capable of playing 33 1/3 and 45 rpm discs / minute. 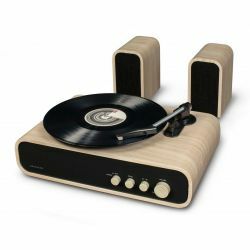 The built-in Bluetooth receiver allows you to stream music from your favorite devices to the two included passive stereo speakers , powered by the integrated 30W amplifier in the central body. 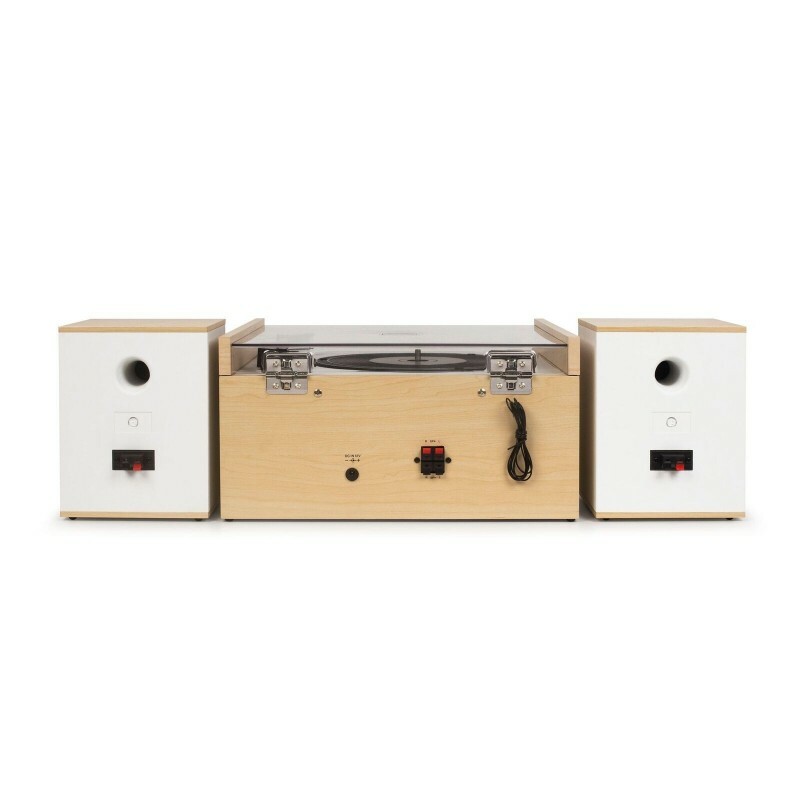 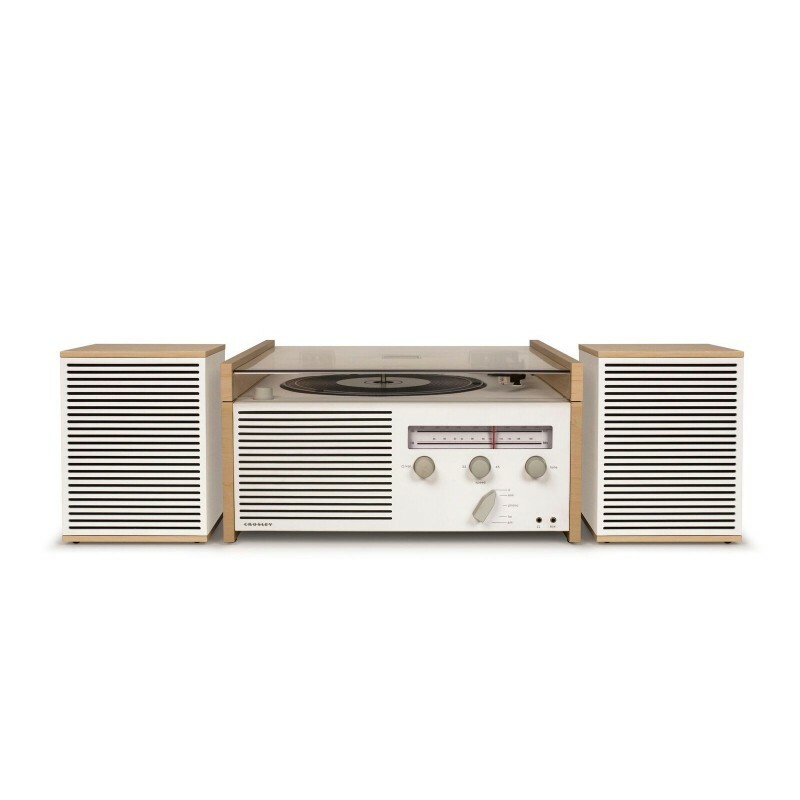 There is also a headphone jack for a more reserved listening or the connection of an external speaker.The minimal white body is characterized by opaque gray knobs that integrate perfectly with the wood finishes, making this object an ideal complement to any furniture. 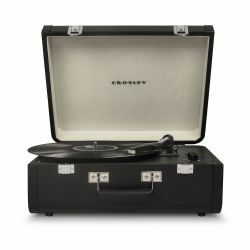 Powell Crosley, a rather radical boy of the 1920s, already knew that music was made by people for the people and decided to create a radio for everyone, the first quality radio, made with standard components but at the cost of a few dollars. 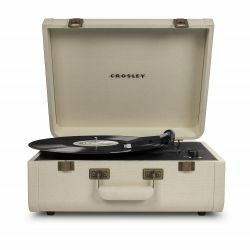 In accordance to this tradition and with this entrepreneurial spirit, Crosley decided that even the vinyl listening experience should have been for everyone. 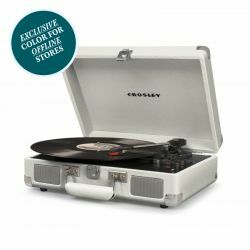 The first record player from the new Crosley was born in 1992 when the CDs were king and queen of the music distribution market. 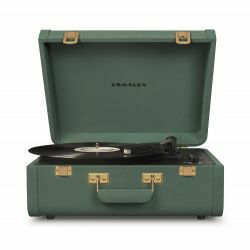 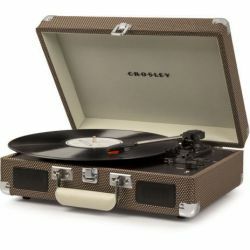 At the time everyone thought that Crosley had been refounded on a bankruptcy business model: now, after more than 30 years Crosley is one of the largest producers of turntables in the world and the main proponent of the rebirth of vinyl in the new millennium. 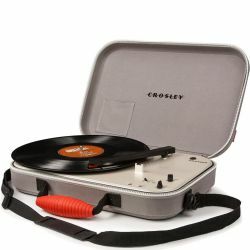 This is the Crosley mantra. 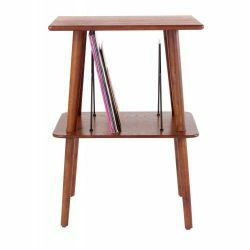 Expressions (of one's style) are an important part of everything we do, unlinked to time and age. 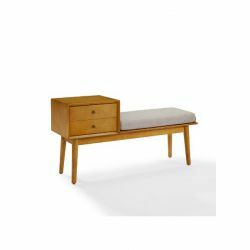 From art to clothing, to spaces, even the contents we share on the web are all part of our vision of the world. 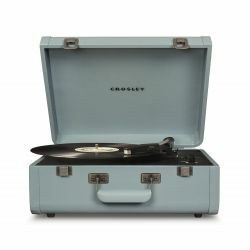 Why should music be different? 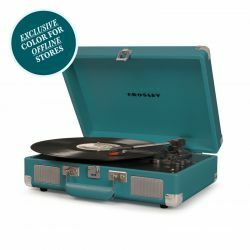 Colorful and fun, elegant and modern, funky and eclectic: there's a Crosley turntable for everyone. 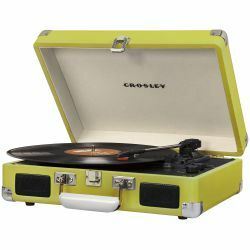 Be Seen visti. 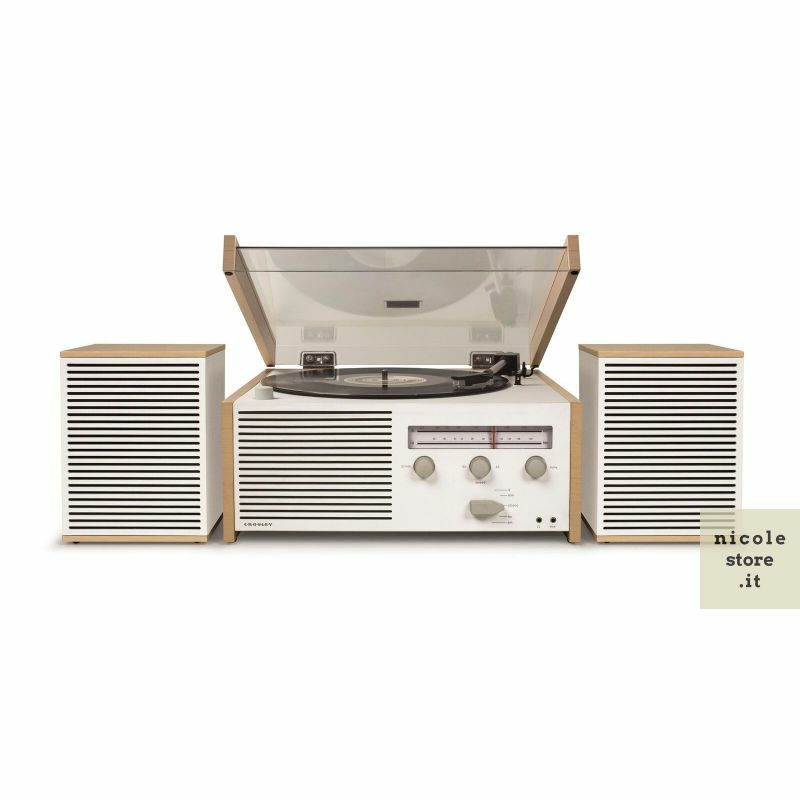 Be Heard. 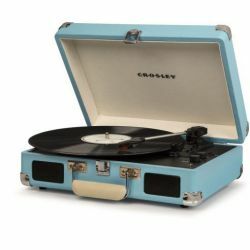 Crosley is elevating its production to a new level. Inspired by music lovers, the new models face the future with the desire for a high-fidelity adventure at heart.